Restaurants in Great Britain and Ireland receiving prestigious new MICHELIN Stars will be revealed at a live event on Monday, October 1. 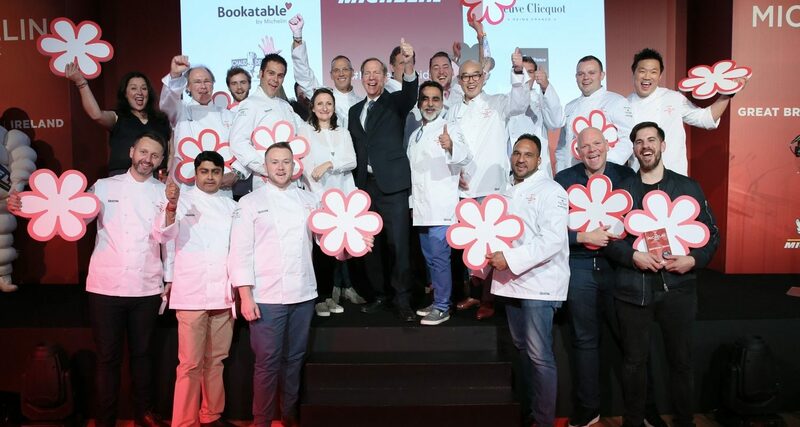 The unveiling of the new Stars will coincide with the publication of the MICHELIN Guide Great Britain and Ireland 2019 and it is expected to attract top chefs, key food industry figures, celebrities and influencers. The news will be announced live on stage at the BFI IMAX cinema in Charlie Chaplin Walk, London. Guests will receive true red-carpet treatment and become immersed in a multi-sensory experience as the theme of gastronomy and cinema is explored. Rebecca Burr, Director of the MICHELIN Guide Great Britain and Ireland, said: “This is shaping up to be such an exciting year for us. We have a new venue and a theme that will give guests a unique experience. More than 2,600 places to eat and sleep are recommended in The MICHELIN Guide Great Britain and Ireland. This includes restaurants and pubs awarded Michelin Stars for the quality of their food and Bib Gourmands – which are awarded to establishments offering particularly good value. The iconic BFI IMAX, on London’s South Bank, features the biggest cinema screen in the UK.